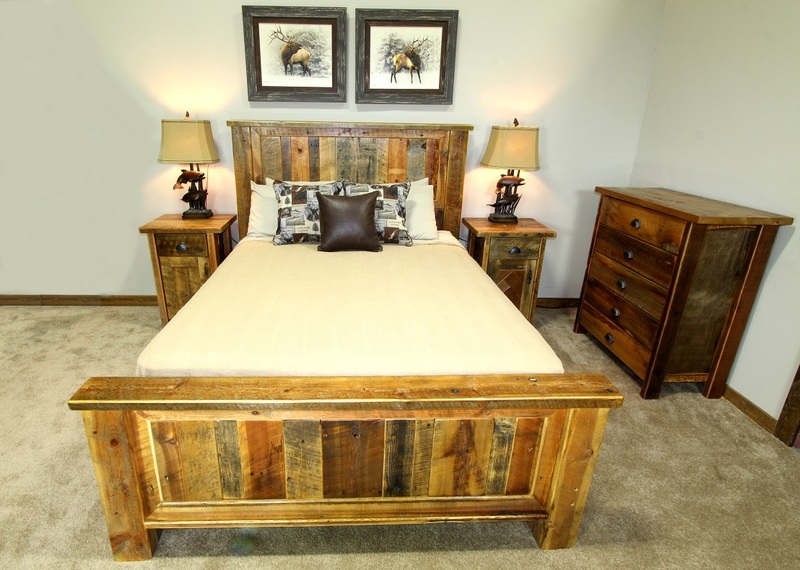 The Glacier Park Builders Grinnell Glacier Bed with Rustic Trim and Cap has a fairly light finish over multiple different-width planks set vertically in a framed headboard and footboard. With clean lines and varied shades, the end result is a lovely, rustic bed. 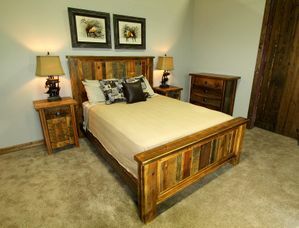 This bed is available in Twin, XLTwin, Full, Queen, King, and CalKing sizes. Price shown is for Twin and XLTwin only. See drop-down window for prices on other sizes.